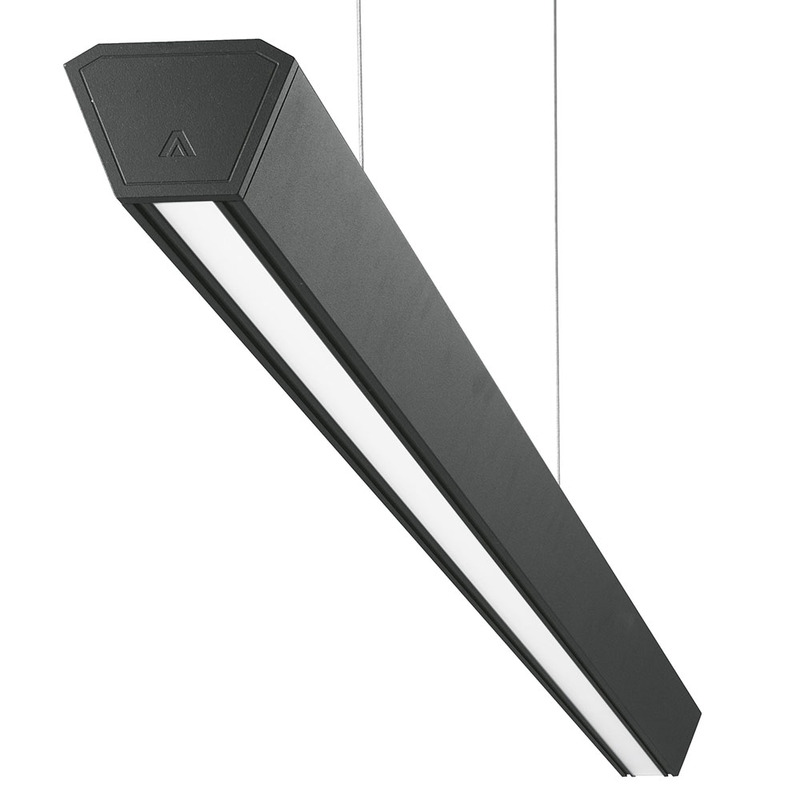 Continuous linear suspended line of light, with strong modern aesthetics. 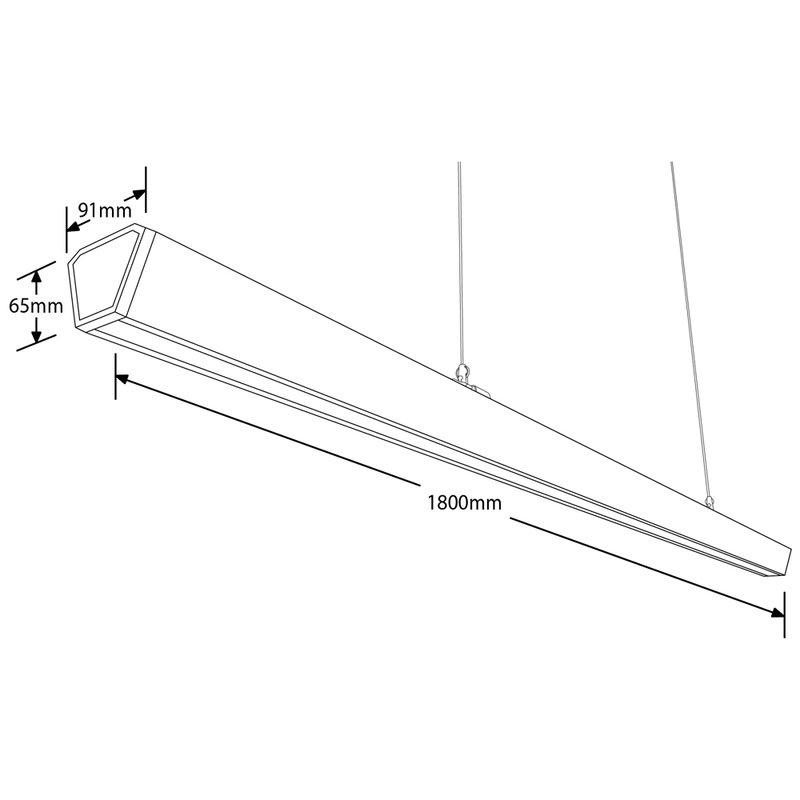 Choice of optics, ‘batwing’ for supermarket shelving, and ambient for general areas. The Clicklink™ system, allows quick connection (electrical and physical) without tools, reducing install time. Smart, emergency and driver components can be retro fitted. Axio Linium blends modularity with style to future proof your ambient lighting.